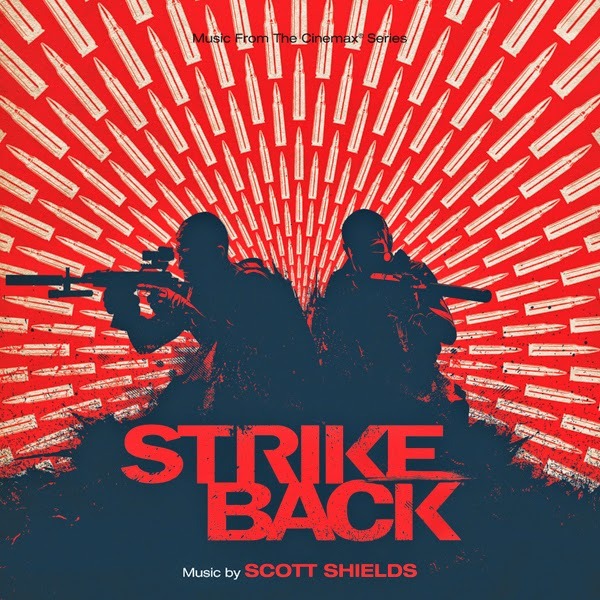 Varèse Sarabande Records will release STRIKE BACK – Original Motion Picture Soundtrack, available digitally and on CD May 27, 2014. The soundtrack features the hard rocking original score composed by Scott Shields (the UK rock band GUN) for the third and fourth seasons of the show. The album also features the main title theme song “Short Change Hero” performed by The Heavy. STRIKE BACK launched by BBC in the UK and season one ran in the US as STRIKE BACK: ORIGINS on Cinemax (starring amongst other people THE WALKING DEAD’s Andrew Lincoln). “The sound now reflects the edgy kind of music that our heroes would listen to and gives a very contemporary feel to the show,” said Shields. Scott Shields is a composer, producer, and songwriter known for his work on many popular feature films, television dramas and album recordings. Scott has been the musical mastermind behind STRIKE BACK from its premiere season; the popular Cinemax television series is now in production on its final season, slated to air later in the year. As a multi-instrumentalist and renowned rock musician, Scott has written, produced, and played with established acts such as Joe Strummer and The Mescaleros, KT Tunstall, The Beautiful South and GUN. It was through his collaborations with the iconic Strummer that Scott first ventured into the world of film in 2001, when he was invited to co-write the soundtrack to British comedy GYPSY WOMAN. Further television programs Scott has scored include the ITV drama series THE FIXER, and Series 8 of the BBC1 drama WAKING THE DEAD. Together with Ilan Eshkeri, he composed Lynda La Plante’s TRIAL AND RETRIBUTION. Scott also collaborated with Magnus Fiennes on ITV drama series INJUSTICE, Series 4 and 5 of MURPHY’S LAW, THE LAST ENEMY, and HBO drama 5 DAYS. A high-octane, globe-spanning thriller with storylines ripped from today's headlines, STRIKE BACK focuses on two members of a top-secret intelligence agency known as Section 20: Michael Stonebridge, a British sergeant on the elite counter-terrorism team, and Damien Scott, a former U.S. Delta Force operative who was discharged on the eve of the U.S. invasion of Iraq. Stonebridge, Scott and the rest of Section 20 criss-cross the globe on the trail of a deadly international terrorist named Latif, who is planning a major attack involving a cache of WMD that could have global repercussions. Cinemax presents STRIKE BACK, returning for a fifth and final season later in the year. The STRIKE BACK –Original Television Series Soundtrack from Varèse Sarabande Records will be released digitally and on CD May 27, 2014.